Oooh, Shinies! 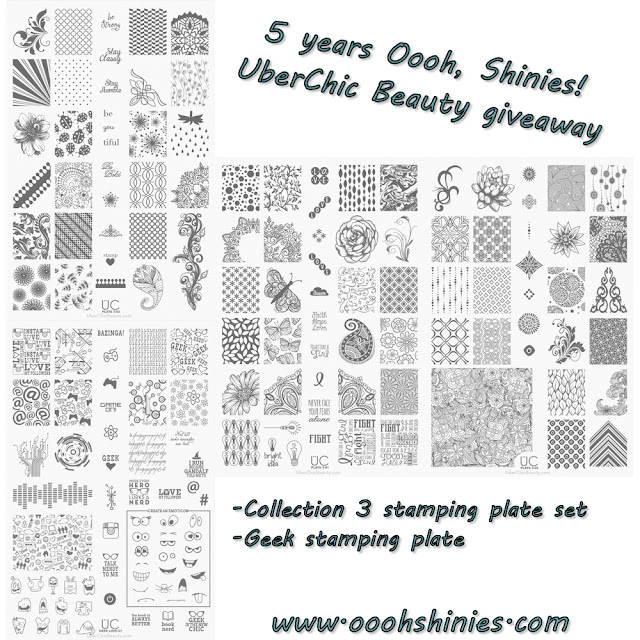 : 5 years Oooh, Shinies! - 5 days of giveaways day 5: UberChic Beauty! 5 years Oooh, Shinies! - 5 days of giveaways day 5: UberChic Beauty! Good luck to you if you enter, and thanks a lot UberChic Beauty! • I will send the winner's contact information to UberChic Beauty, who will then ship the prize directly to the winner.